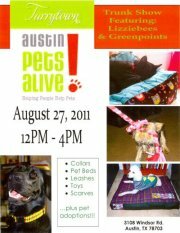 Visit me Saturday at Austin Pets Alive Tarrytown from noon - 4:00 PM for a pet accessories trunk show! 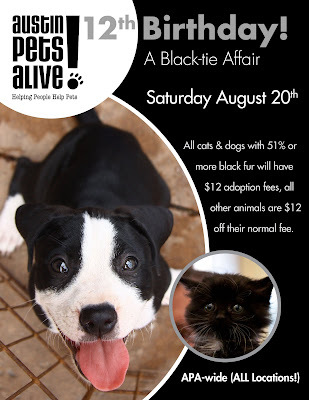 Saturday just happens to be the last day of Austin Fashion Week, and your fur-friend needs a new collar for the catwalk... or the dog walk. Speaking of dog walks, Lizziebees makes adjustable length leashes that match her fabulous collars! Feeling snoozy after all the social scene making? Greenpoints hooks you up with beautiful pet beds for catnaps and doggy dreams! Don't have a fur-friend? We can help you with that too. Cats, kittens and puppies will be on site and ready for adoption! Feeling peckish? Veggie Heaven donated catering, yum! 50% of all trunk show sales benefit APA! Lady Gray got adopted today! I'm so happy for her and her new human! I got a little misty-eyed right after she left with her new human. I kept it together through her adoption process. Congratulations, gorgeous! I'll miss you, but know this is the best thing for you. The fabulous family also adopted APA! 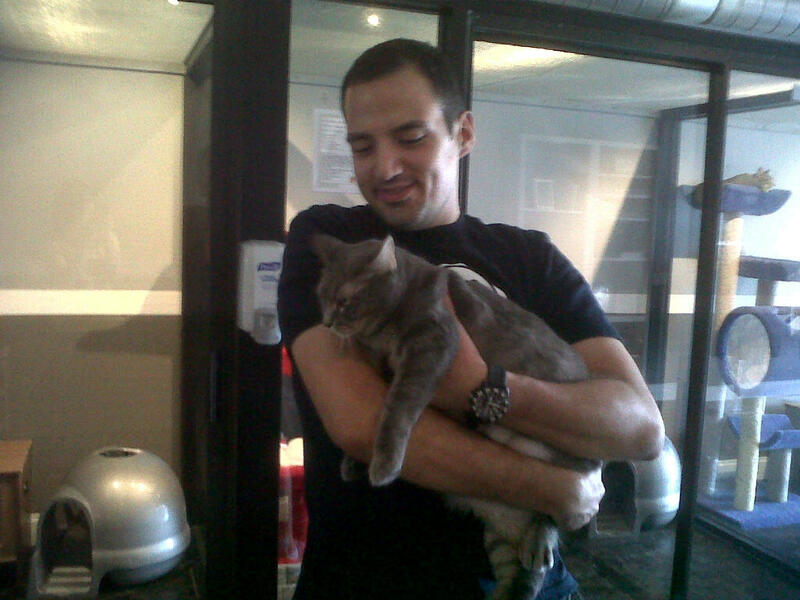 Tarrytown's resident loverboy, Shanti. Eight year old Shanti had a rough life as an outdoor cat before getting dropped off at the shelter. He has a funny bottom lip, a missing piece on one ear and some scars from past scrapes. Yet, he is the sweetest, melt-in-your-arms, affectionate, lanky boy cat I've ever met. And I've met a lot of cats.